Did you know that in addition to photo editing, you can also easily add shapes and design elements to your Photoshop creations by using Custom Shape Tool? The Tool Panel has all of the basic shapes you need like square, line, circle, ellipse etc in addition to a whole slew of extended options. The Custom Shape tool is easy to find in the Options Bar, represented by an icon that kind of looks like a puzzle piece. Access even more shapes by clicking again on the small arrow on the right side of the panel. If you are looking for banners, speech bubbles or arrows of all kinds, this is just the tool for you. The Magic Wand is another selection tool, ideal for when you are working with a background that is more monotone and consistent (like a solid color or clear blue sky). 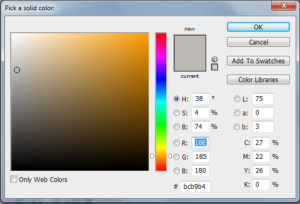 The Magic Wand tool is most often used to switch up backgrounds or large color blocks. To use it, choose the Magic Wand tool from the tools panel and click on the part of the image you want to select. Make sure that you toggled the “add to selection” option on the top bar (icon of two squares) so that you can move forward with switching up the colors and tones of your selection. Transform: Change the size of an image, rotate, flip or distort it! Click Edit > then click Transform > and select the action you desire. Press Ctrl + T on your keyboard and a bounding box will then appear around the image, indicating transformation. This means you can now resize your image. The best way to do so is by placing the cursor on one of the rectangle corners of the box and then dragging the corner while holding the Shift key. When you’re finished just press Enter and you’re done. 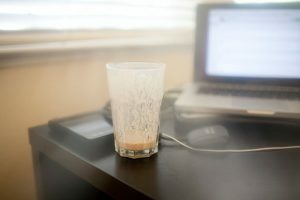 To flip your image vertically or horizontally press Ctrl + T and then right click your mouse. A popup window will appear with a few options for rotating and flipping the image. Select the action you want and when you are done press Enter. 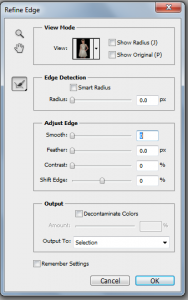 To distort or skew an image press Ctrl + T and then place the cursor on whichever corner you want to distort. Press Ctrl while holding your mouse down on whichever corner of the image you’re looking to morph and drag it down to your desired point, finally press Enter to activate. 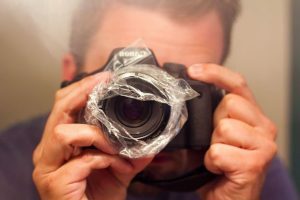 Photographer Jesse David McGrady has a super simple trick for adding a hazy, ethereal effect to your photographs: wrap a plastic sandwich bag around your lens. It sounds ridiculous and silly, but the results you get are actually quite nice! 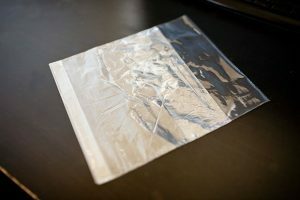 First, find yourself a sandwich bag — those thing plastic bags that you carry sandwiches around in. On the closed side of the bag, use your hands to tear a hole. Don’t use scissors, since you’ll want the edges to be rough, uneven, and slightly random. 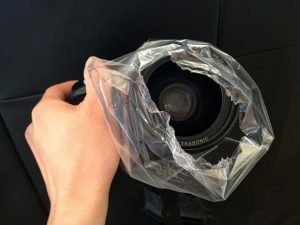 Take the open end of the bag and slide it over your camera lens, with the hole end extending a little past the end of your lens. You want to make sure it can be seen in your viewfinder. Don’t cover up the middle portion of the frame, since you’ll want a clear section to see your subject through. You can find more of McGrady’s photographs shot using this trick/technique/hack here and here.